Praised by Backstage Magazine for “an instrument many singers wish they had … both sensual and alluring”, soprano Julia Hunt Nielsen commands both the opera and concert stage. A San Francisco native, Ms. Nielsen made her stage debut at age five with the San Francisco Opera in a production of Mozart’s Die Zauberflöte, starring Dame Kiri Te Kanawa, and continues to perform opera, concert, contemporary music, Baroque, and classical cabaret to this day. As the winner of the Center for Contemporary Opera’s international competition, Ms. Nielsen gave her New York debut recital in 2001 at Carnegie Hall in Weill Recital Hall. She debuted the leading role of Rose in the West Coast premiere of Elliott Carter’s opera What’s Next? with the Berkeley Symphony under the baton of Kent Nagano. Throughout California and Oregon, she has appeared in roles such as the Countess in The Marriage of Figaro, Fiordiligi in Così Fan Tutte, Mimì and Musetta in La Bohème, Rosalinde in Die Fledermaus, Romilda in Handel’s Xerxes, Maria in West Side Story, and Yum-Yum in The Mikado with companies such as Festival Opera, Opera San Luis Obispo, Eugene Opera, Oakland Lyric Opera, Pocket Opera, Stockton Opera, Sonoma City Opera, Open Opera, and the San Francisco Opera Guild. Internationally, she has performed with the Rome Festival Opera and the AIMS/Graz Orchestra in Austria. 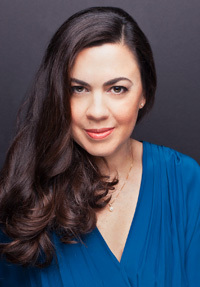 Most recently, Ms. Nielsen created the title role in the world premiere of the chamber opera The Voyage of Mary Magdalene by Nancy Bachmann and has concertized extensively throughout the Bay Area, including performances with Open Opera and guest recitals at the Oakland California Temple and St. Mark’s Lutheran Church. She was heard in Spring 2016 as Musetta with Island City Opera’s production of La Bohème. A dedicated concert artist, she has also frequently appeared in concert and recital with Bay Area organizations such as the Oakland/East Bay Symphony, Berkeley Symphony, Lake Tahoe Summer Music Festival, Stockton Symphony, Auburn Symphony, and West Marin Summer Music Festival. Her solo recitals have included an appearance for the CenterStage concert series in Marin County, and the San Francisco premiere of Handel’s “Lost” Gloria. Her concert work extends to classical cabaret repertoire. She has appeared in one-woman shows at Don’t Tell Mama, Judy’s Chelsea, and Danny’s Skylight Room in New York City; at the Shaker Mill Cabaret in Stockbridge, Massachusetts; and at the inauguration of a new cabaret room in the Hotel La Jolla in California. She was also enthusiastically received as a featured performer at the Mabel Mercer Foundation’s Third Annual West Coast Cabaret Convention in San Francisco. Ms. Nielsen graduated from Indiana University with a Doctor of Music degree in Voice under Martina Arroyo and Masters Degree under Margaret Harshaw. She earned her B.A. in Music from Stanford University. A student and mentee of master vocal pedagogue David Jones, she has maintained a successful private voice studio for over 16 years, and served on the voice faculty of the San Francisco Girls Chorus from 1999-2014. Her non-singing passions include studying ballroom dancing, especially Argentine Tango. She resides in San Francisco with her husband Omar, Senior Manager for Learning Technologies at Genentech, and their teenage son, James. Her voice was soft, pure, beautiful; yet powerful and emotional when need be. To call Nielsen’s voice crystalline or silky is to understate the case. Her high notes floated weightlessly above the stage; her phrases were perfectly executed. Hers is a voice that I could listen to for hours..
Julia Nielsen has an instrument many singers wish they had . . . both sensual and alluring . . . I could sit there and listen to her all night. There is a new star coming . . . her voice will excite you. Nielsen, though new to this role, made it her own. With a big, but well-controlled voice and strong stage presence she maintained a fine comic balance in her characterization. The performance of La Bohème was nothing less than an outstanding success. . . . The arias and duets by Nielsen [as Mimì] . . . were brilliant. Julia Nielsen, with a lovely voice, sang the romantic music with all the lyricism it deserves.